Got this from the mail. 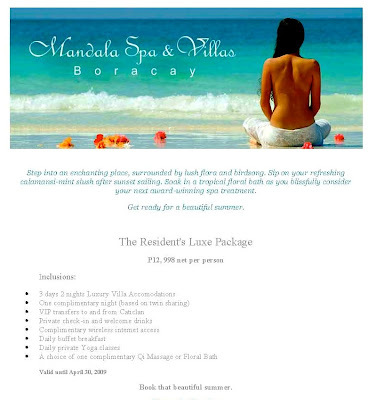 Mandala Spa is one of my favorite spas in the country. Its spa treatments are still unparalleled. The villas are so luxurious and even the in-house cuisine, although vegetarian, is so delicious! Mmm...those cardamon muffins are just the best!